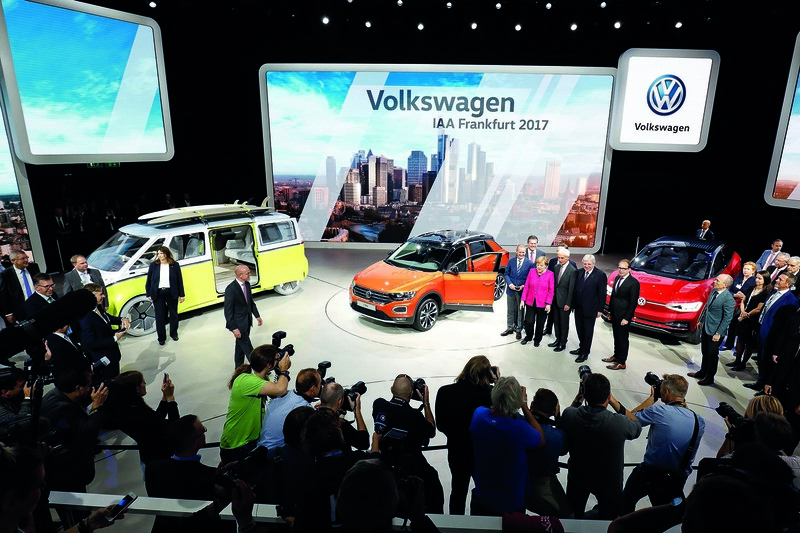 It is 9am on the first day of the Frankfurt motor show, perhaps the Volkswagen Group’s most important meeting with its clientele and critics for the next two years. I’m bound for a 45-minute meeting with its CEO, Matthias Müller, which I’m told will be his only one-on-one interview in English. Why choose us? I presume it’s because Autocar reports things very fully compared with glib dailies and because our much-consulted website gets everywhere. High on our talk agenda is Müller’s announcement the previous evening of the company’s business plan between now and 2025, called Roadmap E and self-described as “the most comprehensive electrification initiative in the automotive industry”. And we’re bound to touch on Dieselgate. Earth-shaking morning headlines have sprung up everywhere, and rightly so. The VW Group will launch 80 electric vehicles by 2025, they say, and have 300 electrified models on the market by 2030. The group has earmarked an eye-watering £18 billion “for the industrialisation of e-mobility” and will soon seek tenders for the £45bn worth of batteries it estimates “transformation in our industry” will need. 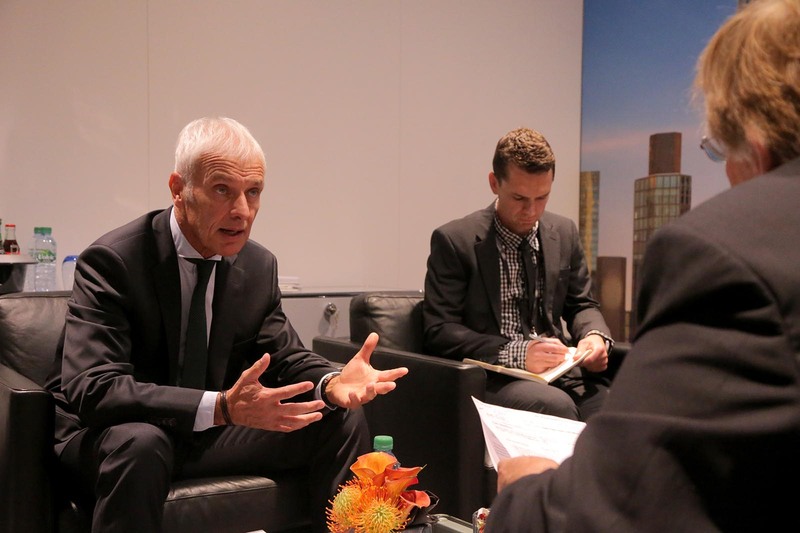 I’m expecting this to be a formal interview: German top executives usually prefer formality. These are serious topics and top bosses generally have their dignity to protect. So I’m surprised as we enter the inner sanctum of meeting rooms to find Müller leaning casually against one of the corridor walls, chatting with colleagues. He’s an imposing figure: white-haired but youthful without glasses, and tanned from what I presume must be several recent weeks off in the sun. He looks like he could be a sailor. He smiles, proffers a firm hand, uses my Christian name, ushers me easily into one of the little rooms, sits obligingly where the photographer suggests (some don’t) and generally acts as if this meeting matters (again, some don’t). After the awesome tone of Roadmap E, it hardly seems appropriate to start nitpicking details or asking if he really meant it, so I open up by wondering to what extent this policy change is motivated by 'Dieselgate' or 'the diesel scandal', two expressions I’m interested to see Müller has used with neither false emphasis nor embarrassment in our first few minutes. “Our new roadmap is not driven only by diesel,” he says, tacitly acknowledging right there that it is at least part of the driving force. “Back when [Martin] Winterkorn was running the company at the start of 2015, we started big discussions about the future of the group, called ‘Future Tracks’. At first, there wasn’t much content beyond the fact that we needed to get going. Then, in autumn 2015, we had Dieselgate and I was asked to take over. I’m impressed by how fully Volkswagen has embraced electrification – and say so – but Müller neither boasts about how far his company has come nor complains about the circumstances that have imposed its mighty workload. All very well to commit to electrification, I reply, but what about the unprofitability of electric cars? If you commit to selling so many, and spend so much of your capital on them, how will you ever make money? What’s the future of the VW Group’s status as the world’s biggest-selling car company? Will it matter in 2025? Others that have worn the crown – General Motors and Toyota, for two – tend to argue that the quality of today’s deals is more important than the quantity. “Being number one does matter,” says Müller, “and it will matter in 2025. We think we can achieve it, too, but the task is to decide where you lead. In vehicle sales? In number of models? In mobility services? We are working on them all.” Besides all the new model talk, Müller has introduced important strategies behind the scenes. One is to reduce the VW Group’s well-known reputation for authoritarian management, which is leading Müller to give more independence to his brands. As always, our talk time is running out. I’m desperate to pose the killer question that has hung over Müller since he took the VW Group CEO job: why on Warth would you do this? Why would you deliberately take responsibility for the misdeeds of predecessors? 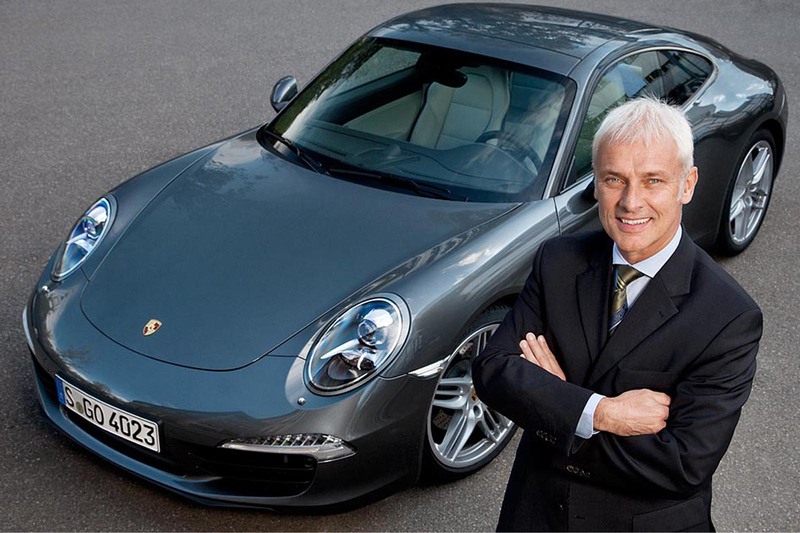 Müller was in his early sixties when he accepted this gig from the security of the top job at Porsche; surely it must have crossed his mind to walk away as other blameless, high-profile VW officials had done? Again, the wry chuckle. Müller’s assistants are glancing more frequently at their watches. I find I’ve warmed to this man: he is far more candid than previous contact had led me to expect, and far more humble. Last time we met was in Los Angeles, where his job was to launch the Porsche Macan to expected success – a gig almost guaranteed to encourage overconfidence. An excellent interview and one that, to my eyes, doesn't particularly smack of 'spin'. 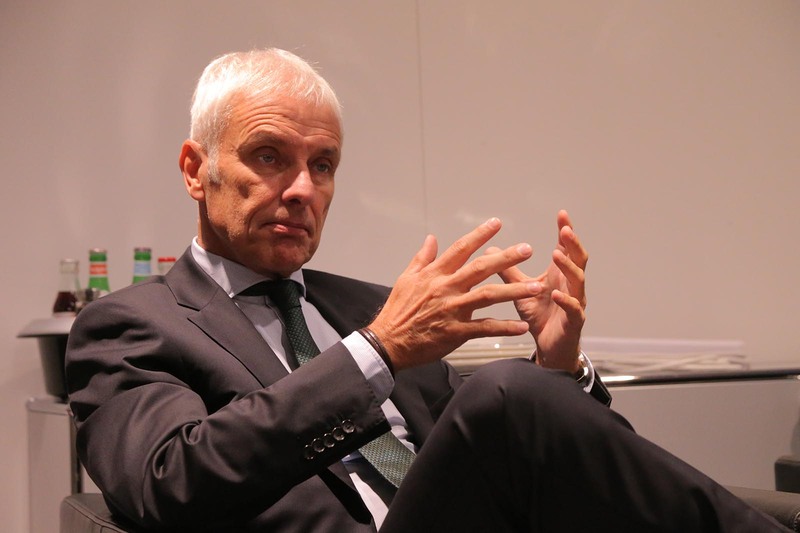 Without doubt, Herr Muller is a dyed-in-the-wool VW man but his character is very different than some of his predecessors and in my opinion that can only be a good thing. Whatever we might think of VW at the moment and the deception that has taken place regarding such an important and emotive subject, the history of their various group brands and the contribution they have made to the automotive world cannot be washed away by one (albeit massive) event. Strange to reflect upon the early days of VW: The involvement of both Hitler and subsequently Ferdinand Porsche in the creation of what became the Beetle and that without the post WW2 involvement of the British army, under the direction of Major Hirst, there might not have been a modern VW company and the brand might just have passed into the history books. I should add that, despite my comments above, in no way am I letting VW off the hook for its involvement in the worlds worst automotive deception and that it and the individuals involved, should be held to account and provide appropriate financial redress. How can VAG ever regain trust, when they continue to hide the impact that their software "fix" is having on "repaired" vehicles. Some owners are now on their 4th EGR valve following implementation of the "Fix". VAG continue to tell customers that their problems have nothing to do with the "Fix", but no amount of spin can change the laws of Physics. The truth will out. As for why VAG chose Autocar for the interview. Would this be something to do with advertising revenue and the cosy relationship this has produced? Should it not be encumbent on all mass vehicle manufacturers to produce a publicly-available environmental impact report on all future production proposals, especially when there is a step-change in technology as here? What is the future impact of some of these proposals e.g battery production on a vast scale, or vehicle autonomy? Logic ought to the driving force from now on, so let's see some hard facts to ensure we won't be rueing Voltgate in a decade's time! That is really a good interview and shows the direction to other so called car magazines who have limited themselves to writing sycophantic reviews for this car giant. Autocar's coverage of the "Dieselgate" has been unmatched in the UK at least. Anyone who thinks reporting this issue was in any way less important than run of the mill car reviews, is not a real car nut. At last Volkswagen has committed a real life budget for the electrification. Following the exposè of the diesel scandal, VW earmarked a couple of billion dollars for the same. I laughed. For a company the size of VW that was a poor joke. It's smaller than their annual PR costs. Autocar has done a great job. But once the spotlight moves off the VW they will undoubtedly try to revert to selling diesel as panacea for everything. Which it is not. Not even Euro 6! If it was the new test will not give the diesel 210 percent tolerance. Secondly VW will sell diesels in the very lucrative US market. Problem with diesel is in the discrepancy between tests and real life driving. This is where petrol walks all over diesel since petrol has no problem meeting emissions standards in real life conditions. Once you add the higher emissions production costs of the diesel even the much hyped CO2 advantage disappears. Muller should lead the car industry in technology solutions just as he does in sales figures and announce end of diesel in sub-compact cars and its replacement with hybrid power train. Volkswagen can do that. Muller has three years to be remembered as the captain of the industry or just a guy who swelled sales figures. When Mr Muller took over the job, he had a one off opportunity to be transparent about why Vehicle Manufacturers chose the cheat over the past 10 (some say 25) years, and what the real impact of removing the cheat device would be. He chose to reject this opportunity and continue VAG's cheating ways. Mr Muller will be remembered as the man who wrecked diesel before it's time and betrayed a generation of loyal customers and the public at large. Autocar could have done much more to hold VAG to account, but he who pays the Piper calls the tune. FadyAdy, you won’t be happy until VW goes into administration and every single worker loses their job. Weirdo. What about the idiots that bought a VW for its notorious “German technology” lol. If they end up in administration, it’s because they deserve to be there after lying and excessively polluting the air that we ALL breath. Plus the fact that they continue to lie to it’s european customers while GENEROUSLY refunding their American customers. Compleately deserved I say. On the contrary I think this is the most positive and upbeat post I've written about the VW since the diesel scandal broke. 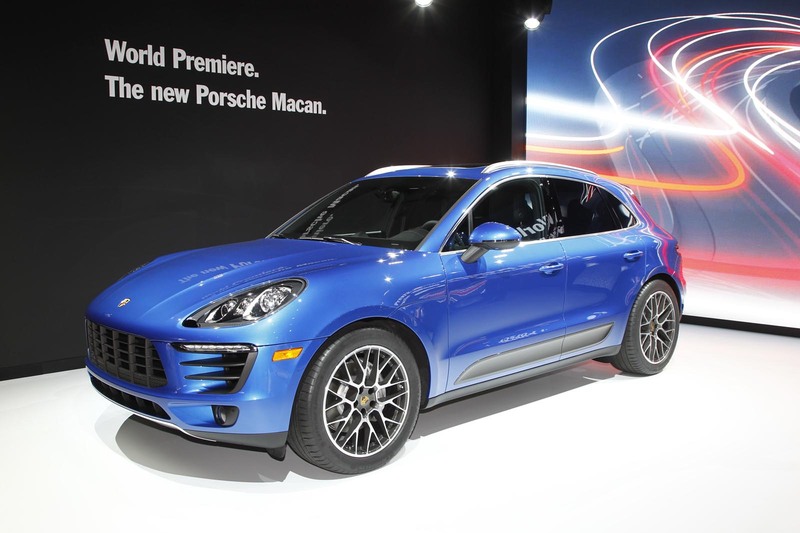 Muller should make Volkswagen take the lead in new power trains. Dropping diesel altogether from Polo size cars immediately would be a good start. It makes good financial sense. Other car makers will inevitably follow. All I want from VAG is Openness, Honesty and Respect. If the law then decides that they shouldn't exist then so be it. After 2 years of investigation, the Authorities have done no tests to establish if the "Fix" reduces emissions or disadvantages the customer in real world conditions. VAG have never said why they needed to cheat in the first place. Personally, I find that all a bit strange.